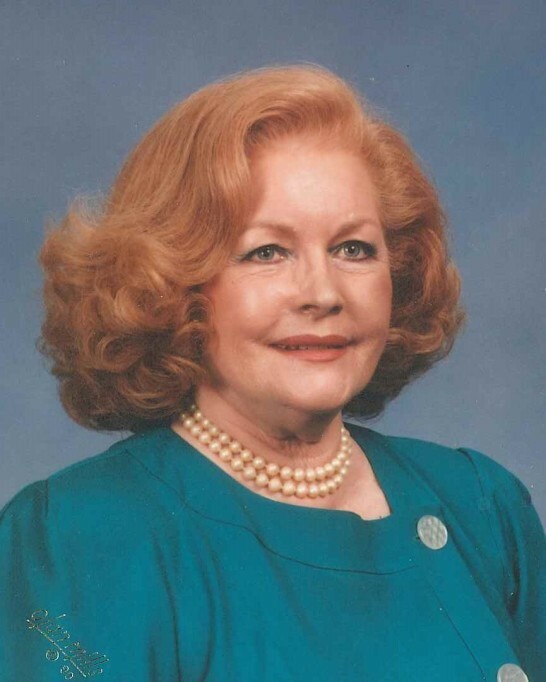 Patsy Maxine Henley, age 92, of Liberty, passed away peacefully on Wednesday, October 17, 2018 at Magnolia Place Health Care in Liberty. Pat was born in Romayer, Texas on August 23, 1926, to parents William Douglas Emanuel and Ebbie Sophire Collins. She had an older sister Myrhl, and a younger sister Ouida. After graduating Hardin High School, Pat went on to become an aspiring model and actress. She was literally discovered on a street corner while waiting for a trolley, when a man walked up to her saying, “I can put you in the movies”. She attempted to pursue her dream by moving to Hollywood, California. She quickly found out that Hollywood was not all that she thought it would be, and returned to her family and deep seeded roots here in Texas. Later she was quoted as saying, “I would rather live in Liberty, Texas, and be a good solid American Citizen, than all the glamour Hollywood could ever offer”. In 1948, she met, and then married, the late Dempsie Henley, former Liberty City Mayor, later to become Liberty County Judge. As a devoted wife to Dempsie, Pat enjoyed being a mother to her five children, Scott, Holly, and Jerry Lee, and her sisters two children, Jade Turner Morris and Zane Turner. Even with this large family, she always found time for endless civic and church work. Pat also loved entertaining friends and family; hosting many Thanksgiving and Fourth of July reunions with her husband, at their ranch near Moss Hill. She truly loved the outdoor life she and Dempsie shared. Pat leaves to cherish her memory, her son Scott Henley and wife Lainie, daughter Holly Henley, grandchildren Jeff Aycock, wife Mandy, and their daughter Sierra, Chris Aycock and his daughter Madison, Kala Turner Bauer, her husband Donnie, and their son Wesley, Whit Turner his wife Andrea, and their children Jolie and Viviene, Logan Turner, Kale Morris, his wife Ashleigh, and their children Ashton, Christian, Kase and Kynkade, nephews Kent Cauthorn and his wife Carolyn, their son Kyle, his wife Miranda, their daughter Jayden, and Deen Cauthorn. Other family members to be recognized; Jerry and Rhonda Warren, their daughter, Jade, and their son Justin, Johnny and Patsy Ann McAfee, and Mark Collins. Pat was a beautiful woman, inside and out. She will sorely be missed, by all her family and friends that loved her. Mrs. Henley is preceded in death by her parents, William and Ebbie Emanuel, husband Dempsey Henley, daughters Jade Turner Morris and Jerry Henley Aycock, son Zane Turner, sister Myrhl Turner and her husband John Kale Turner, Jr., and Ouida Cauthorn and her husband Bill Cauthorn. A funeral service for Pat will be held 2PM Saturday October 20, 2018 at Liberty Church of Christ. Visitation will be held one hour prior to the service with burial to follow in Concord Cemetery. Condolences and memories can be shared online at www.allisonfuneralservice.com. The family would like to extend a special thanks to Magnolia Place for the wonderful care they provided for Pat over the years.